Karen will present how The First Five Minutes Can Make or Break the Interview. It is a culmination of the time and effort one has put into developing their presence, communication and interviewing skills, self-confidence, self-awareness, emotional intelligence and accomplishments. People form impressions and make judgments quickly, whether on the phone, in a video conference or in a meeting face-to-face. There are specific activities that you need to be aware of, so that you will make the best impression and position yourself for success. Join us to find out how the “unknowing”, “blind spots” and stories we tell ourselves eliminate you from moving forward in the interview process. Unwittingly, it is at times a form of self-sabotage. 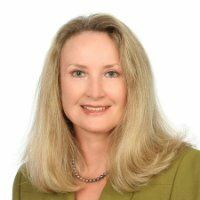 Karen Sadowski is an executive search consultant and President of KMS Associates which provides talent acquisition for law firms, associations and companies locally as well as nationally. With over 25 years of recruiting, branding, marketing and interviewing, Karen has seen what works, what doesn’t and why. Prior to her entrepreneurial role in the search service and career counseling industry, Karen has earned experience in senior management.